How do I find a monologue in a play? I need it for my acting class. - Ask Us! Q. How do I find a monologue in a play? I need it for my acting class. 1. 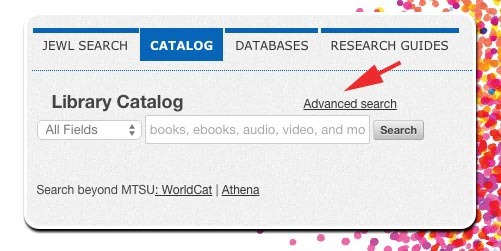 Try searching the CATALOG, using Advanced Search. Try typing "monologues" in the first box AND "acting" in the second box. You can limit by using the Narrow Your Search suggestions to the left of the results. 2. 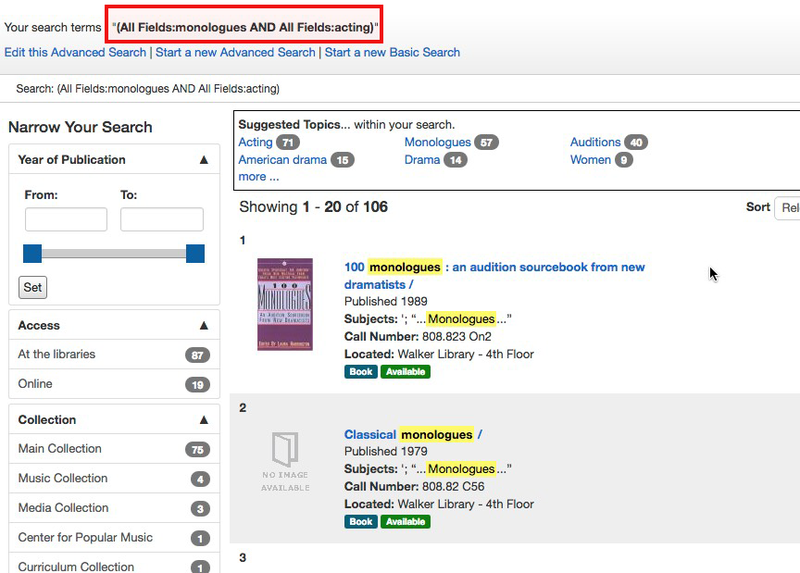 You may also use Play Index which has a subject heading, "Monologues" in the "Subject and Author" section. This may help you find a play that has a series of monologues. 3. The Theatre and Dance Library guide also has resources for locating plays both in print and online. The Drama Online Library allows you to search for full text monologues as well as plays of a certain length or number of roles. ​Scroll down about 3/4 of the page. How do I find plays?